If you want to know the best place to advertise so that you can repeat your success time after time, it pays real dividends to take a planned approach to identifying the source of your enquiries. In this way you can keep an eye on the performance of your adverts and keep on top of what really works for you. Ultimately, the best advert is the one that works. Once you have found that winning formula, the only way for your business is up. Keep experimenting and improving and your business will grow. With something like Google Analytics, the wonderful tool that helps you see who has visited your website for example, it is a straightforward matter to see the wood for the trees. But with most other forms of advertising it appears at first glance to be a much more complex issue. For example, what is the point in spending money on radio advertising, if you don’t actually know if it is working for you? Granted, we’re all manically busy so it can be difficult making the time, but without checking we run the risk of wasting money on ineffective marketing! When you begin an advertising campaign, ask all new enquiries into your business where they heard of you or what prompted them to contact you. Make sure that everyone in your business knows about the advertising too so that they can do the same. During your advertising period (and for a reasonable period after) keep a record of which enquiries were directly attributable to your advert. With a column for how much your bookings were worth, you will be able to clearly identify how much bang you got for your buck, AND which advertising method worked the best. If you would like some help or advice on how to track the success of your local advertising, email us at greg@localadvertisingthatworks.com and we’ll give you some input, absolutely free! As the owner of www.localadvertisingthatworks.com Greg has been in sales and marketing forever. He’s been published and has run a consultancy coaching small businesses to globals in how to sell more. 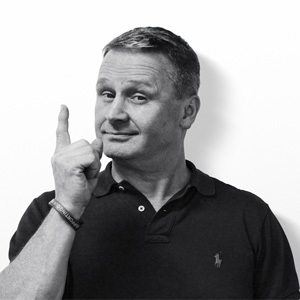 Greg’s mission is to help every business get their COME-SEE-US message to thousands more local buyers of their stuff. How can you ensure that your business stands out locally? For every business, large or small, there is a genuine need to use marketing. The reason for this? Well, you can have the greatest product or service in the world but unless people know about it, you’ll be the best kept secret! More importantly is the thought that if yours was the only business of its kind in the area, and you were able to meet demand, matched your capacity there would be no need to stand out from the rest. Here are the 9 things you can do with Google Analytics to help your business. Best of all you don't need to have a degree in geek to be able to understand them. What does marketing mean for your business? Whether focused on maintaining or growing your business, first thoughts tend to run to making more sales. But have you considered the positive contribution that marketing can make and how a well thought out plan of marketing activities could help you to win new customers? Display advertising – often referred to as graphic advertising or banner advertising is a popular form of online advertising, but is it actually any good? Let’s find out.